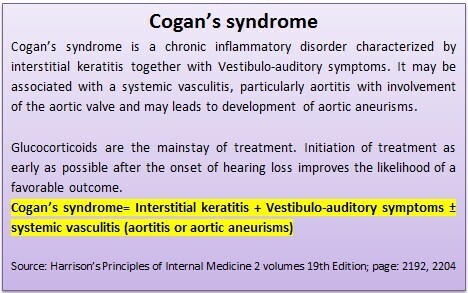 It is a chronic inflammatory disorder characterized by interstitial keratitis together with vestibule-auditory symptoms. It may be associated with a systemic vasculitis, particularly aortitis with involvement of the aortic valve and may leads to the development of aortic aneurisms. Glucocorticoids are the mainstay of treatment. Initiation of treatment as early as possible after the onset of hearing loss improves the likelihood of a favorable outcome. What is superior orbital fissure syndrome? What is the WHO classifications of Lupus Nephritis? What are the Diagnostic criteria for polyarteritis nodosa (PAN)? 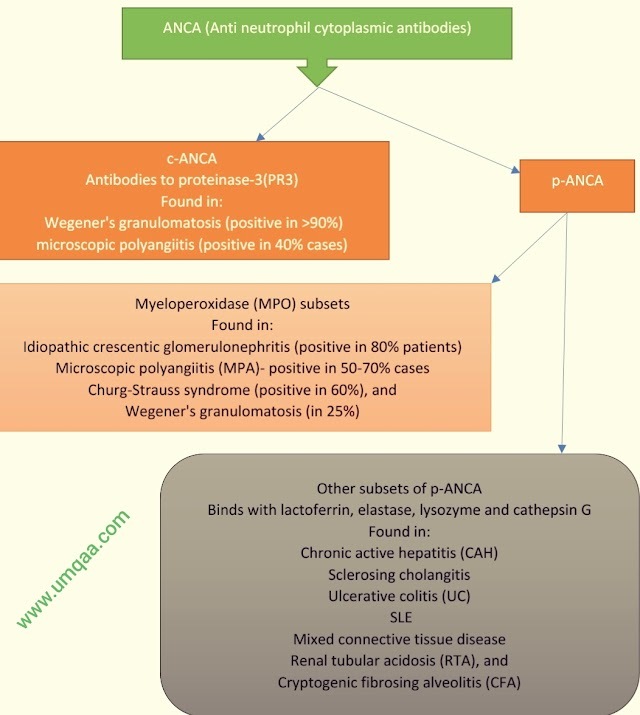 What is ANCA (Anti neutrophil cytoplasmic antibodies)?